Man’s best friend can suffer from allergies in the same way many humans are affected by them. In fact, a wide variety of things may cause allergic reactions in dogs, and it may be difficult to pin down the exact cause in your dog. Allergies in pets are rarer than allergies in humans, but they can still make pets uncomfortable and severe reactions can cause grave health problems. Pet owners who recognize their pet's allergy symptoms can take steps to alleviate the discomfort and help pets lead happy, healthy lives. Most pet owners are diligent about feeding their pets a healthy, nutritious diet. It can be tempting, however, to offer a pet a tasty treat, especially on a special day such as a holiday or the pet's birthday, or even as a reward for mastering a new trick or obeying a command. Dogs need mental stimulation just as much as they need physical exercise, and cognitive training games can be a fun way to sharpen your dog’s intelligence. An overbite might not seem like a serious condition for your dog, but severely misaligned teeth can lead to difficulty eating, gum injuries and bruising, bad breath and different types of dental problems, including tooth decay and gingivitis. Every pet owner tries to give their pet the best possible life by providing nutritious food, a safe environment, and proper veterinary care. Pets can’t tell us when they aren’t feeling well, don’t like something, or are scared, stressed, or in danger, however. Holiday travel is naturally chaotic, and it can be even crazier if your pets are coming along on the trip. If you pack the proper pet essentials, however, your travel plans can go more smoothly. These holiday travel must-haves can help you pack along your pets with ease. Our pets are members of the family and it is only natural to want to include them on our lists for holiday shopping and gifts. But what gifts are best for your pets? 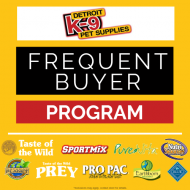 Every pet owner understands the importance of a proper diet to provide their pet the best nutrition for strong bones and muscles, healthy joints, abundant energy, stable digestive health, and weight control.